Telunot Bene Adam. Hebrew poem by Jacob Vita Israel. Telunot bene adam. 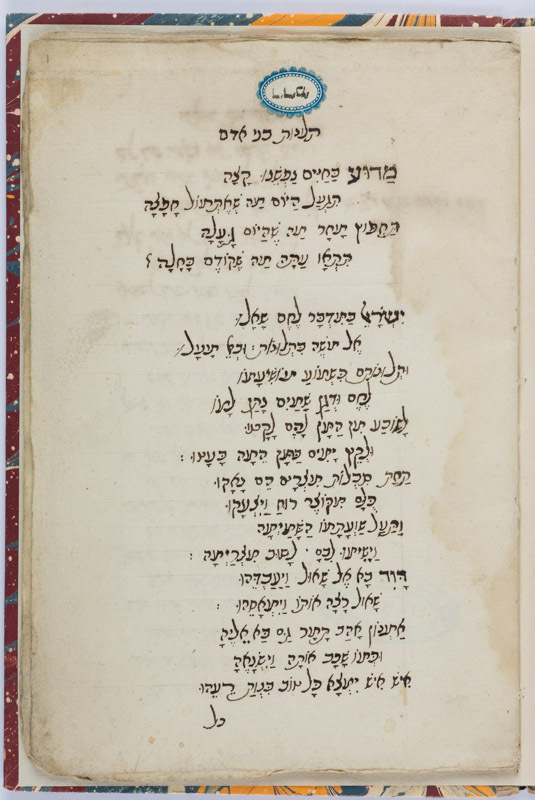 Hebrew poem by Jacob Vita Israel, with annotations. Amsterdam, 1752, 1774. Hebrew / Paper / 19,8 x 12,6 cm. / 2 parts / I: 16 ff., II: 37 ff. (last 5 ll. blank) / 2 different Sephardic cursive hands / Titles of both parts written on top of the first page / The work begins with the text, dated 1774, the annotations date from 1752.